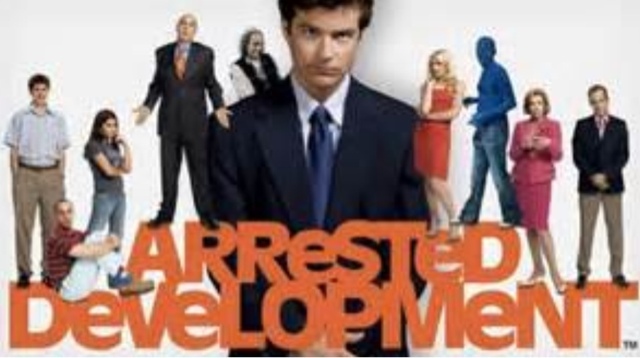 Who else was ecstatic to see the ad for the new season of Arrested Development on their Netflix homepage today? I know it wasn't just me! It's unfortunately one of those shows that just never took off in a major commercial way and so ended far sooner than the fans and critics would have liked but hey.. it's all about the money, money, money, right? There were rumours for so long and even hints in the last season that there would be a film return but I'm so pleased that they're back with a fourth and final season and it will be available on May 26th right in our own homes.. exciting! Will the kissing cousins ever find love? Can Tobias and Lindsey make their marriage work? Did Michael ever manage to escape his families clutches? and what's the stair car doing these days.. all will soon be revealed!